One year after being awarded the prestigious Westpac Future Leaders Scholarship, one of the University of Adelaide’s 2018 Future Leaders reflects on the past 12 months, what it means to be a leader and the value of the Westpac 100 Scholars Network. In 2018, Kate Obst was awarded a Westpac Future Leader Scholarship to enable positive social change. Her PhD focuses on improving understandings of the psychological impact of pregnancy loss for families, with a particular emphasis on addressing bereavement care guidelines for men. “A lot of the pregnancy support organisations around the country are really keen to better support men. “They’ve got a lot of great services available, but we still don’t really have a good research base for support and that’s what we’re trying to address,” explained Kate. Hailing from a “big, blended family”, Kate entered her Bachelor of Psychology with an interest in family dynamics and had her mind set on registration as a psychologist. But a summer research scholarship under her now PhD supervisor, Dr Clemence Due, sent Kate down a research oriented course. During the summer project, she began sharing her work with friends and family when “all of a sudden, all of these stories started coming out of the wood work,” she said. “I realised how common pregnancy loss was among my own circle of family and friends, let alone the statistics, and I noticed particularly that a lot of dads weren’t talking too much about it and there hadn’t been much research among them. Deeply inspired by the stories she had heard throughout her Honours research, Kate decided to pursue a research path that would address this gap. Where her drive for change was intrinsic, the Westpac scholarship has allowed Kate to grasp every opportunity with both hands to take her important research global. “The Westpac scholarship changed things because it provided so many opportunities,” she said. “It has opened so many doors and opportunities to travel and to see people in person rather than talking over the phone, and I think it’s really powerful. The scholarship afforded Kate the opportunity to take the stage in Glasgow, Scotland for the 2018 International Stillbirth Alliance Conference, experience she said “was a real privilege”. “It was a great opportunity to meet with all the leading researchers in the field and share what I was doing to get some really important feedback about where I can take it on the global stage. “There are lots of great things happening overseas, so it’s a great opportunity to learn about those and bring them back to apply to our context here in Australia. Prior to becoming a Westpac Future Leader Scholar, the combined PhD and Master of Health Psychology candidate never thought of herself as a stereotypical leader. “I wouldn’t think of myself as the person out the front, waving the flag,” she said. But through the scholarship’s Leadership Development Program, Kate “challenged her notions of what leadership was and reframed how we can be impactful leaders in our own ways, using our own strengths. “There are many ways to lead and it’s been interesting to hear about those and how I can cultivate my strengths to make a difference in the world. As a Westpac Future Leaders Scholar, Kate gained lifelong membership to the Westpac 100 Scholars Network, giving her access to like-minded individuals and a life-long learning experience. Of the network, Kate said “one of the biggest things I got out of it was a lot more confidence to push myself to keep learning and just trust that I do have the ability to contribute and make a difference. “Having the support of Westpac and the W100 network is just so important and really valuable,” she continued. “To know they back you and believe in what you’re doing gives a whole new breath of air to what I’m pursuing,” she said. Find out more about the Westpac Future Leaders Scholarship here. Find further information about this year’s Westpac Future Leaders Scholars here. Sands Australia (miscarriage, stillbirth and newborn death support). 1300 071 637 (available 24/7). http://www.sands.org.au for more information and live chat options. Red Nose (grief and loss support after the death of a child). 1300 308 307 (available 24/7). 13 11 14 (available 24/7). 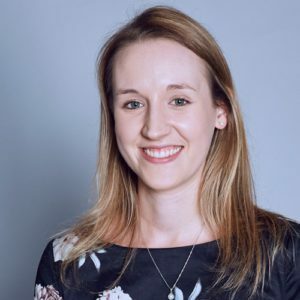 This entry was posted in Alumni eNews, Alumni Profiles, Engagement eNews, Scholarships and tagged alumni, graduate, psychology, research, scholarship, Scholarships, University of Adelaide, westpac, westpac future leaders. Bookmark the permalink.